Since I got back to China from my trip do DPRK, this was one of the questions I was asked a lot. North Korea is often perceived as an expensive travel destination, the fact which effectively discourages a lot of travelers from visiting the Hermit Kingdom. However, the actual travel costs can seem indeed very high if you are backpacker type of tourist, used to staying in affordable hostels, sticking to local modes of transport and avoiding posh restaurants, package tours, upscale entertainment and other costly temptations which very quickly add up.When traveling to North Korea you simply have no other option than to join the organized tour, stick to the pre-planned itinerary, stay in selected government approved hotels and dine out in a rather limited selection of eateries. There are no hostels in DPRK and the backpacker scene there is something virtually unheard of (just like the whole concept of independent traveling). 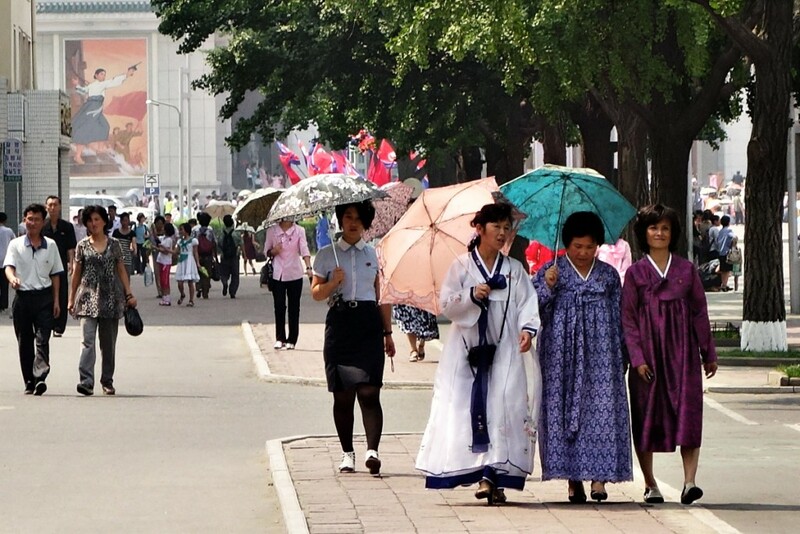 On the other hand, If you accept the reality and choose to visit DPRK (go for it, you won’t regret it!) despite all these limitations, you will find out that you actually get a decent value for the money you pay. Group packages to North Korea usually require you to spend anywhere between 120 and 250 euros a day (or a bit more in case of some of the companies oriented at customers who don’t mind spending a bit more for additional luxuries). In my case, the 12-day tour to NK cost 1595 euros (excluding the 50 euro visa fee), which means I spent on average 130 euros a day. All of this for 130 euro a day? Honestly, that’s probably far better value for money that you could find in Western European countries, especially in places like Paris or London where the accommodation in a good quality hotel can easily set you off the equivalent of 130 euros a night, not to mention other expenses. WHAT’S NOT INCLUDED IN THIS PRICE? – rides in the amusement park in Pyongyang – 5 euros for the rollercoaster, 3 euros for bumper cars. Not sure about the other rides, since I only resorted to those two. – beer and other drinks – the ultimate budget killer, especially if you indulge yourself in long drinking sessions with your Korean guides and fellow travelers! However, the beer in DPRK offers a really good value for money (in my opinion way much better than in China), with pints of locally brewed beer on tap costing anywhere between 0.5 euro (!!!) and 2.5 euro a pint. Bottled beers usually cost 1 euro a bottle. As for the local booze, all Koreans are exceptionally proud of – soju – it is indeed dirt cheap and tastes good. It’s not uncommon to find a 0.5l bottle of locally distilled soju for less than 3-4 euros. – International phone calls – as you can’t use your own sim card while traveling in the DPRK, your only option to contact the World outside is to use the phones located in the hotel lobby. And these are unfortunately expensive as hell. Expect to pay at least 2 euros per minute. – Souvenirs – all in all, you definitely want to get some cool postcards with revolutionary stamps, hand painted propaganda posters, books, movies or other fancy stuff from the DPRK and bring it all back home. 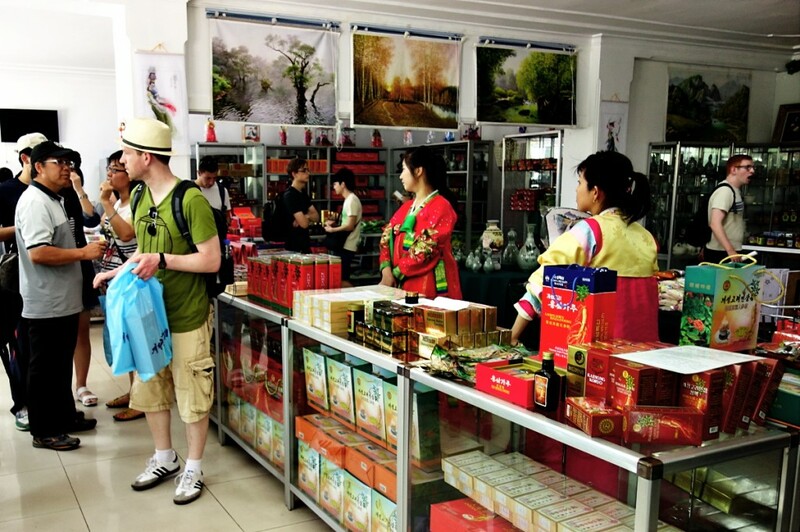 You can be sure that you will visit A LOT of souvenir shops during your tour in North Korea. Prices can vary quite substantially. It’s quite hard to estimate how much you will spend on these. I personally spent around 80 euros in total. – Tips for the Korean guides – some tour companies may heavily encourage you to tip your Korean guides and the driver, as this helps keep great connections with the local guides and other travel partners and add a lot to their salaries. The recommended amount is 7 euros per day, which is apparently equally shared between all Korean guides and the driver. Finally, if you are seriously thinking about visiting North Korea next year, here is the breakdown of some of the most interesting tour packages offered by some of the most renowned tour groups specialized in organizing tours to DPRK. This list should give you some initial idea of what are the current tour options available, how much should you prepare to spend and finally, which tour operator might suit your needs best. Please note that this is neither the complete list of companies operating in North Korea nor the full list of tours being offered. Instead of listing all possible options available, I simply selected some of the most renowned tour agencies currently organizing tours to North Korea (including the one I used during my last trip do DRPK) as well as some of the most interesting tour packages they’ve got in their offer. For more information please consult their websites (links below) and contact the companies directly. Probably the most famous and one of the longest running tour companies specialized in organizing a huge variety of tours to DPRK. Well-known for their good quality services and excellent reputation, they are definitely not the cheapest company though. Another well-known company maintaining an excellent reputation in DPRK, both among travelers and North Korean business partners. This is the company I personally decided to use and honestly, can’t recommend it enough. These guys are primarily focused on organizing affordable tours tailored at more adventurous travelers who don’t mind long intensive days full of sightseeing and even more intensive nights in Karaoke jaunts. In general, if you are a backpacking type of traveler or simply looking for the cheapest travel packages to North Korea – YPT is probably the way to go. With their headquarters located in Stockholm, Korea Konsult is one of the few European-based companies specialized in DPRK tourism and the only one located in Northern Europe. Therefore, if you are based in Sweden or particularly keen on choosing the company which is entirely based in Europe, you may definitely want to consider Korea Konsult. However, it is worth pointing out that other notable companies such as YPT or Koryo Group mentioned above, although operating from China, are also nearly entirely owned by Western management and employ Western staff. A well established British company organizing tours to a lot of interesting destinations around the globe, including some less visited countries such as, of course, North Korea. Tours offered by Regent Holidays generally fall within mid to high range and are better suited at those travelers for whom money is not a primary concern. Apart from the group tours, all companies listed above organize tailor-made independent tours. Although a bit pricey, these tours should appeal to those who are eager to stay away from the tour groups and would like to have more flexibility in designing the itinerary. However, there are two things you should take note of if you opt for such a tour. First, you might actually enjoy less freedom of movement and fewer photographic opportunities since it is definitely easier for North Korean guides and minders to control a single tourist or a small group, unlike the larger crowd of travelers. Therefore, unless you have excellent initial connections with Korean guides, their watchful eyes may put additional pressure on you, if you are a single tourist, accompanied by two Korean minders at all times. Another thing is you might actually feel lonely at times since apart from your Korean guides, you will find it a bit harder to find other travelers to talk to and socialize with. On the other hand, if you are looking for a bit more secluded experience, independent tours might appeal to your tastes. Have you been to North Korea? How much did you spend on the tour? Have you got any interesting experiences and tips to share? Leave the comment below – we’d like to hear from you!